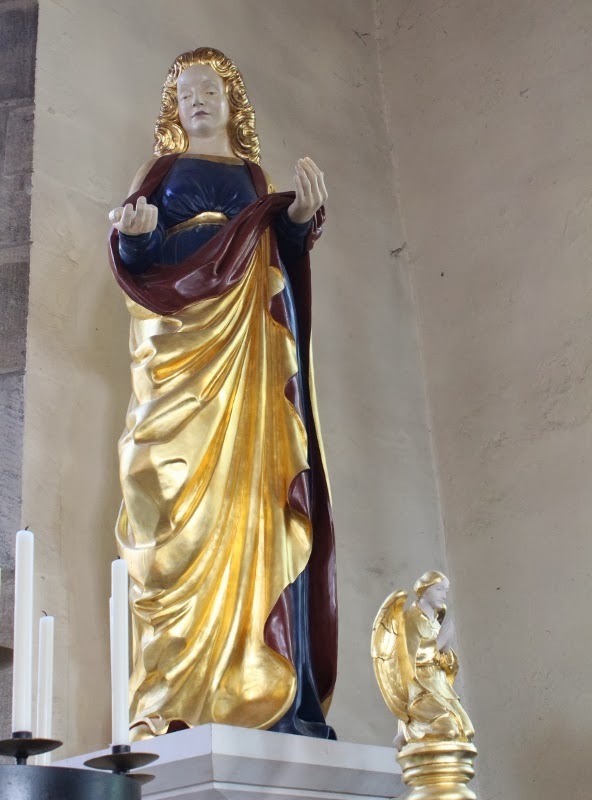 This is the life sized statue of Mary in All Saints Church North Street. It was rather controversially re-sited up on this plinth when the church was refurbished following a fire in 1997. Part of a mediaeval pillar was removed to place the plinth which resulted in a Consistory Court hearing. A quite unusual Mary, Deb! It's a beautiful sculpture... but a shame the decision was made about the pillar.